By now, everyone that have interests in gaming and graphic should already aware of AMD’s next GPU which is called Polaris that will be heading into the market later this year. Of course, it is not end of the road for AMD just yet as the company is already working on future GPUs which were teased at its GDC 2016 event earlier today. Named after a star just like Polaris, one such GPU is codenamed Vega. Targeted for release in 2017, it will apparently able to deliver better performance per watt than Polaris and interestingly, it will also mark the debut of HBM2 module. 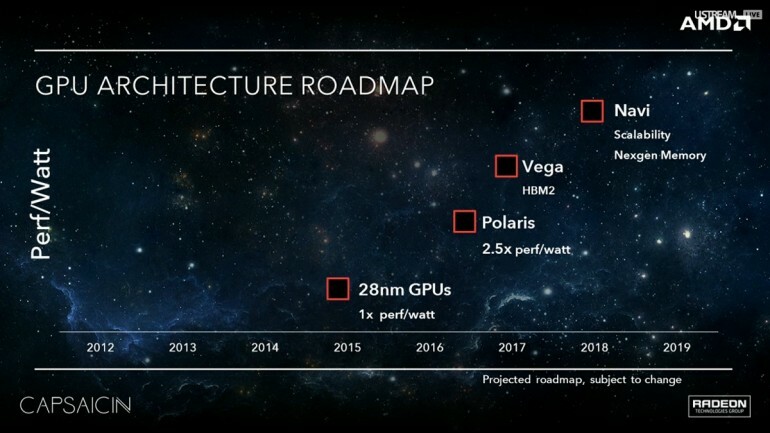 With this, it means that Polaris will continue to feature the first generation HBM as its predecessor, Fiji which was used on R9 Fury series and the newly announced Radeon Pro Duo. 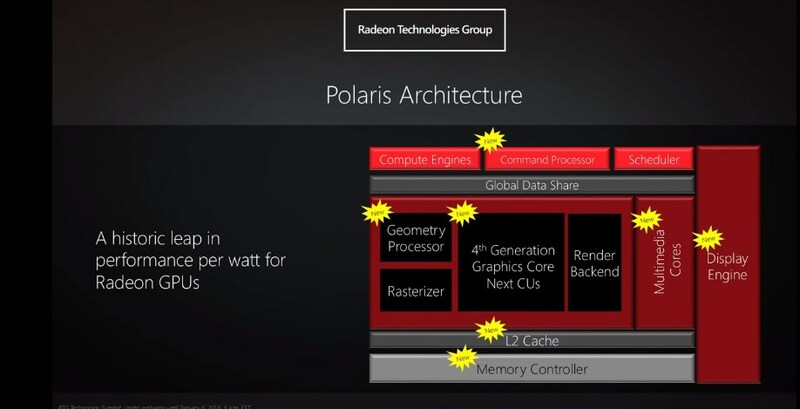 Polaris: just the beginning for the next chapter in AMD Radeon’s history. After Vega, AMD will then move on to another GPU family called Navi in 2018. As expected, Navi will deliver even better performance per wat than its predecessors but what more interesting that not only it will come with new scalability features but also next generation memory. Naturally, details regarding Vega and Navi are rather limited at the moment. Frankly speaking, it is rather too early in our opinion to discuss more about these two future AMD GPUs anyway when Polaris has yet to show its actual worth to consumers but nevertheless, it is good to know that Raja Koduri and his team at Radeon Technologies Group still have more for us to check out beyond Polaris.